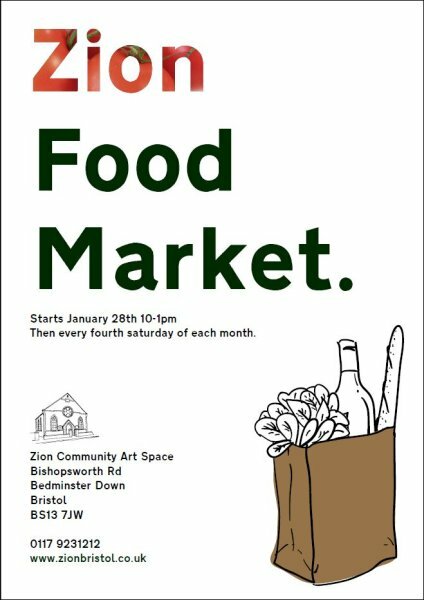 This Saturday, January 28th will see the launch of a new regular event at the Zion Community Art Space in Bedminster Down, in the form of the monthly Zion Food Market. Taking place between 10am and 1pm, the market will feature stalls selling a range of goodies such as bread, cakes, sweets and meat, and will also have an outdoor barbecue on the go for you to enjoy while browsing. Rather than offering “deli-style” food, the market’s organisers are aiming to cater for families by offering staple foodstuffs that everyone can enjoy on a standard budget. 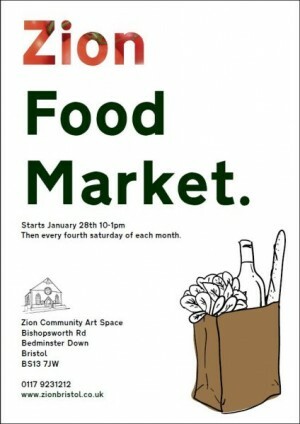 After this weekend’s inaugural market, the Zion Food Market will take place every fourth Saturday at the same time each week. For more details, see the flyer below or visit the Zion website.